Kong Tsung-gan’s new book is available now with a min. HK$200 donation to HKFP. I wrote my first essay about Hong Kong in the summer of 2014. It was called “Hong Kong’s Power of the Powerless (or Hong Kong’s Last Stand).” It was meant to alert the rest of the world to what appeared almost certain to happen — China was about to attempt to deny genuine universal suffrage to Hong Kong once and for all — and to suggest that Hong Kong’s only viable response was mass civil disobedience. Three months later, the Umbrella Movement broke out. I was so involved in the movement that I did not write again about Hong Kong until the spring of 2015 and from then on, I continued to do so. By late 2018, I found I had written 28 essays about the Hong Kong struggle for freedom. In September 2017, I published Umbrella: A Political Tale from Hong Kong. It was the first comprehensive account of the Umbrella Movement. The motivation to write that book grew out of the impulse to tell the story from the point of view of Hong Kong people who demand their basic human rights. Ever since it came to power, the Communist Party has continually falsified and censored the history of its rule. Under this regime, truth-telling is a form of resistance. The freedom struggle certainly didn’t end with the Umbrella Movement; it goes on. This is an important story to tell. 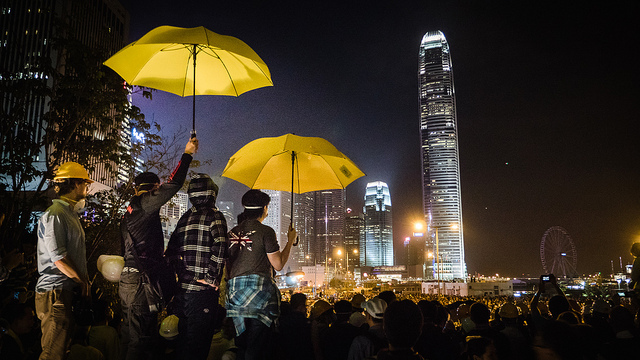 The post-Umbrella era is a distinct period of Hong Kong history, a period still unfolding. 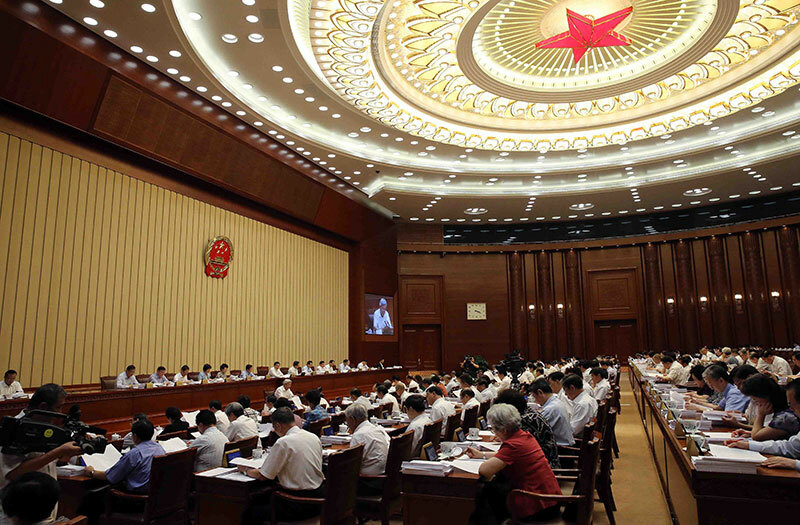 From the handover in 1997 to the National People’s Congress Standing Committee (NPCSC) decision of August 31, 2014, the struggle for democracy suffered setbacks and disappointments, but many in Hong Kong continued to hope that one day the genuine universal suffrage promised in the Basic Law would be realised. 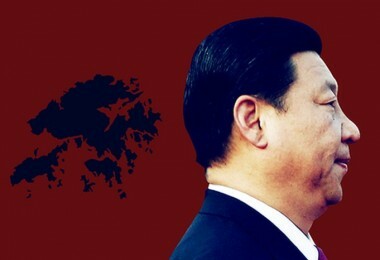 With the 8/31 NPCSC decision, which dictated the number of candidates for Chief Executive and effectively stipulated they be politically screened, that hope evaporated and Hong Kong entered a new dispensation. 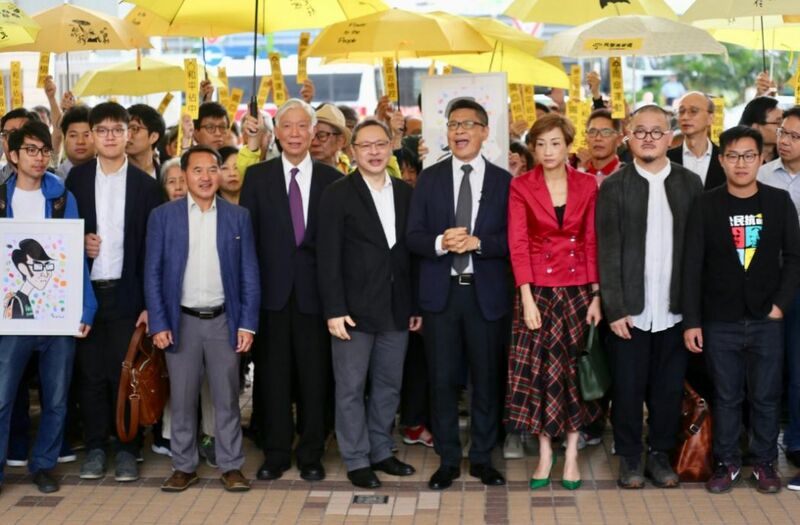 Because the Party has said the 8/31 decision stands for all time, in spite of Hong Kong people’s rejection of its terms both in the Umbrella Movement and in the June 2015 LegCo vote, genuine suffrage is ruled out indefinitely. An NPCSC meeting. Photo: Gov.cn. 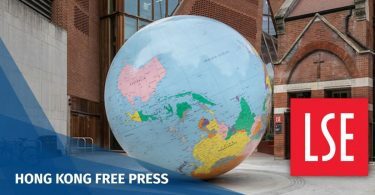 To put it simply, there are no grounds for hope that the Party will fulfil its obligation to Hong Kong under the Basic Law and international law. The question then is what, if anything else, can Hong Kong people do to secure their basic rights, to win democracy, to have a government of the people, elected by the people, to achieve genuine autonomy? That is the question that defines the post-Umbrella era. It is an era is marked by the increasingly intractable conflict between the most powerful dictatorship in the world and a people that persists in the face of great odds, a conflict between competing political visions: authoritarianism and imposition versus freedom, democracy and human rights. 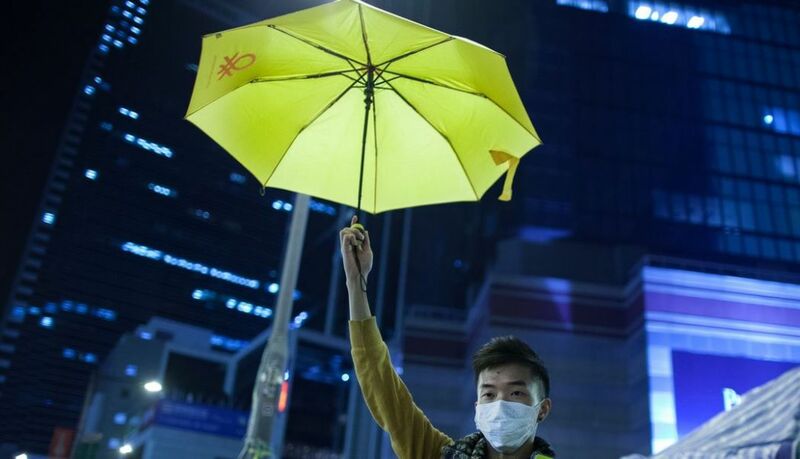 Out of the Umbrella Movement new groups, leaders, ideas and initiatives emerged. 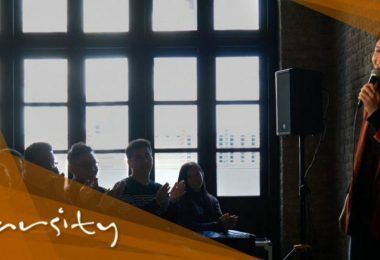 Beyond the demand for genuine suffrage, calls for self-determination and independence have been voiced for the first time. They are a response to the question: what, if anything, can Hong Kong people do to secure their rights? They are based on the view that after the 8/31 decision, it has become perfectly clear that Hong Kong will never gain genuine suffrage or autonomy under Communist Party rule. 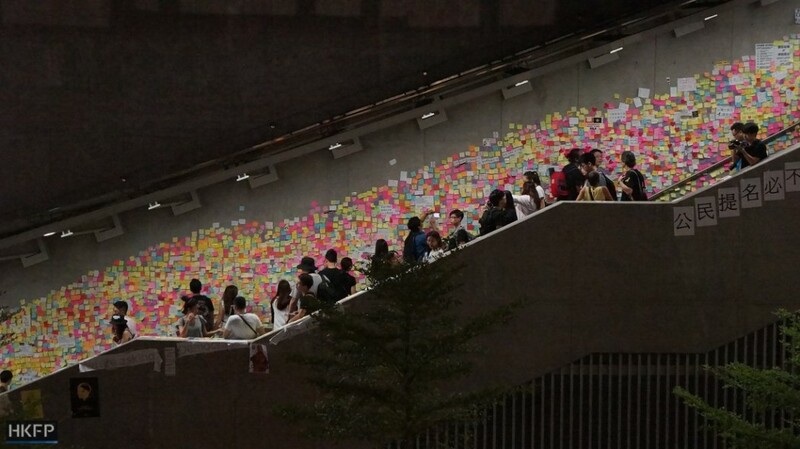 Pro-democracy supporters took over the heart of Hong Kong last year. Photo: via Flickr. 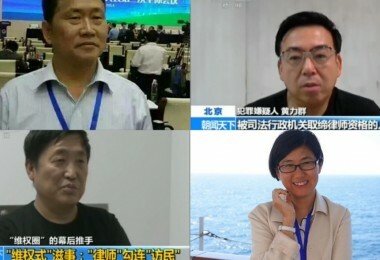 The energy released by the movement has been met by a wide-ranging crackdown: 48 prosecutions of 32 pro-democracy leaders, over 250 ordinary activists put on trial, six disqualifications of elected Legislative Council representatives, the barring of 11 candidates for Legco on political grounds, the first-ever ban on a political party, cross-border abductions, and increased interference by the Communist Party in the judiciary and education as well as other sectors of society. The scale of this crackdown is simply unprecedented in Hong Kong history. 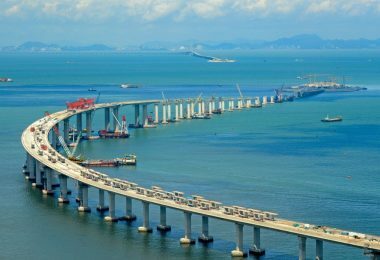 It has occurred alongside stepped-up efforts to mainlandise Hong Kong, integrating it and assimilating it with China, and bringing it more firmly under Party control. The attacks on autonomy, on freedoms of expression, assembly and association, on rule of law, and on the very idea of a free society are relentless. That is the dramatic and sometimes grim story told in As long as There is Resistance, There is Hope. Some of the essays are documentary. “Criminalising the opposition” gives an overview of government prosecutions of political opponents, with a list of the major trials. “Turning Hong Kong’s Legislative Council into a mini-National People’s Congress” looks specifically at how pro-democracy members of Legco have been targeted for prosecution, many criminally charged for acts carried out in their capacity as elected representatives. “The Disqualification of Agnes” examines how the only free and fair elections in Hong Kong, for Legco geographical constituencies, have been compromised by a combination of disqualifications, the prosecutions of Legco members, and the barring of candidates on political grounds. “Justice it ain’t: The Mong Kok ‘riot’ trials” looks at the contrast between the government’s aggressive prosecution of those accused of “riot” in the 2016 Chinese New Year clashes between police and protesters, on the one hand, and the nearly complete impunity of the Hong Kong government and police in regard to abuses of power on the other. “Censorship in Hong Kong since the Umbrella Movement” lists 63 separate incidents of political censorship. “Mainlandisation” gives an overview of the Communist Party’s wide-ranging attempts to control and assimilate Hong Kong. A timeline traces the milestones of the post-Umbrella era. 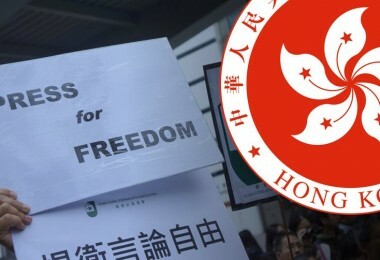 Some essays are polemical: “Advocating independence for Hong Kong is neither illegal nor against the Basic Law” and “Why Joshua, Nathan, Alex and the Umbrella Movement would be an excellent choice for the Nobel Peace Prize”. Some are more philosophical. 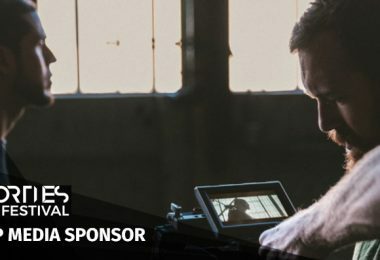 The media are better at covering events and incidents than ideas, and this has left significant aspects of the post-Umbrella era — an era in which people have been trying to think anew — poorly reported. 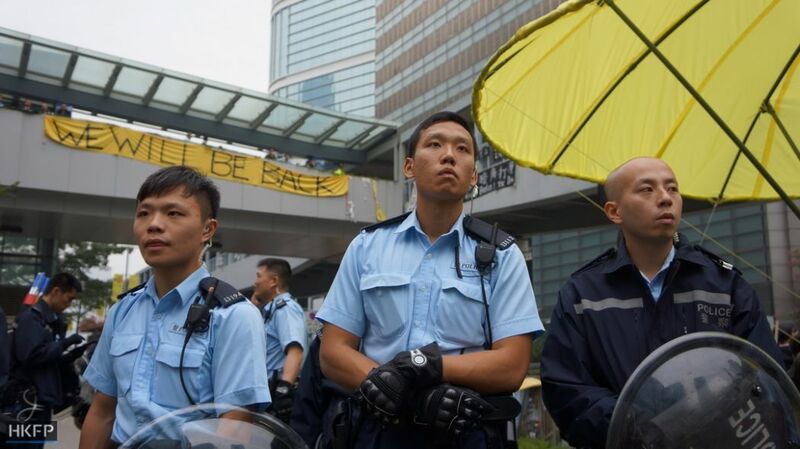 A key idea that has emerged since the Umbrella Movement is self-determination. 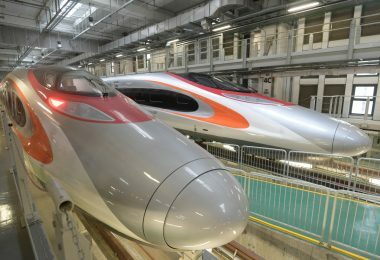 Three essays track the emergence and development of the idea in Hong Kong and the debate about how to go about attaining a basic human right that Hong Kong people have never enjoyed. 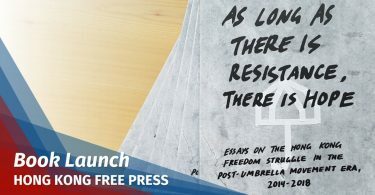 Several essays look back at the Umbrella Movement, examining it through the lens of nonviolent civil resistance theory, assessing it and depicting its dominant influence on the current political situation in Hong Kong. Other essays set Hong Kong in a wider context and argue for the necessity of solidarity among the “peoples of the peripheries,” Taiwanese, Tibetans, Uighurs and Hong Kong people, as well as pro-democracy Chinese, in our common pursuit of freedom, democracy and human rights. Still, other essays critically analyse the freedom struggle and suggest ways it can develop, become more effective, and move forward. If you are at all honest with yourself about what’s going on, living in Hong Kong in the post-Umbrella era causes emotional turmoil. In the immediate aftermath of the Umbrella Movement, I was surprised by just how many participants, especially young people, were depressed. 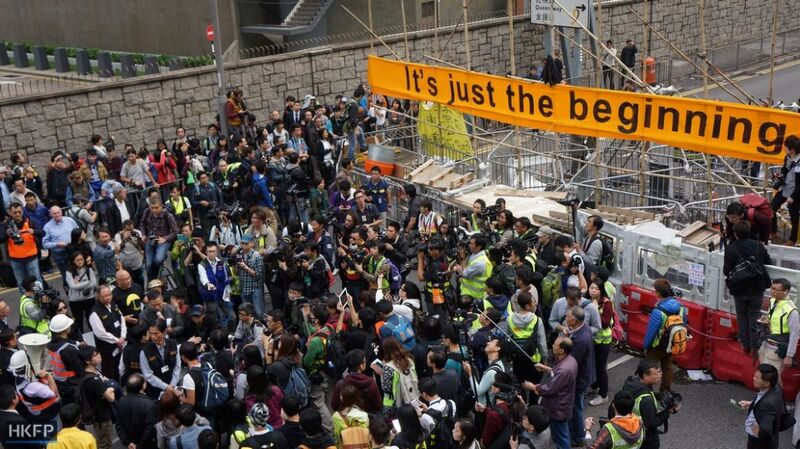 Then there was the promise generated by all of the energy and activity emerging from the Umbrella Movement. This peaked with the September 2016 Legco elections, in which many young and new faces won seats. But since then, I think most would agree it’s been mostly downhill, the movements for democracy and self-determination constantly on the defensive, the localist movement imploding due to its own self-destructive tendencies and targeting by the regime, a pro-independence group downright outlawed, the political environment increasingly authoritarian. The outlook of a great many Hong Kong people is pervaded by resignation, fatalism and despair. Still, in the face of it all, the only time I become pessimistic is when I meet young people who have given up. Ultimately, the only way the Party can win is if it manages to neutralise the youth, a great majority of whom regard themselves as Hong Kong people (not Chinese), want democracy, and want Hong Kong people to run Hong Kong. The title of the book, As long as there is resistance, there is hope, is derived from my argument with them. At first glance, the phrase may seem one of those inspirational platitudes exhorting people to rise up. But it’s infected with ambiguity: yes, people have the power. If we do resist, we create our own hope; indeed, we are that hope. There’s really nothing the regime can do to crush our determination; only we can do that. That is the flipside: if there is no resistance, or too little resistance, if too many people just give up and say, “What’s the use?”, then indeed, the situation is hopeless. Just as we can be our own hope, we can be our own despair. The aphorism is both empowering and admonitory, a call to action and a warning. 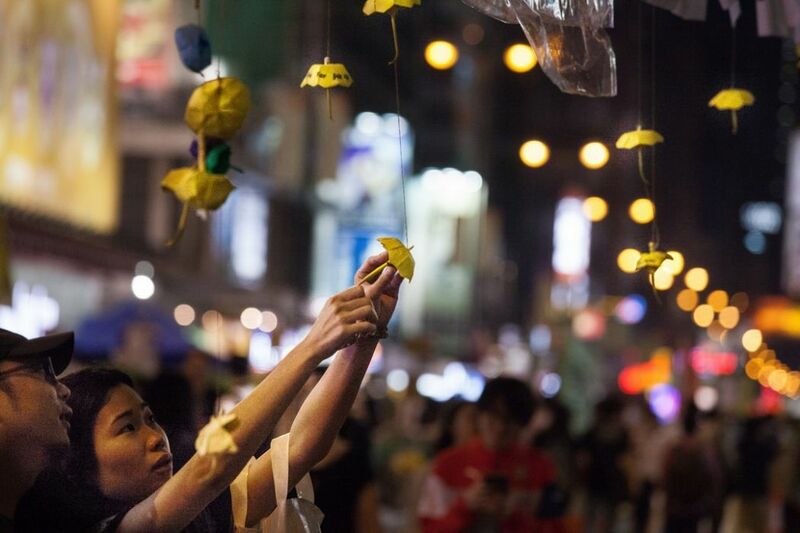 The situation in Hong Kong, as in much of the world, is delicately balanced between hope and despair. It is a test of the character of Hong Kong people, of our courage and willingness to sacrifice, of our enlightenment and ability to see things as they are, of just how strongly we desire our basic human rights of self-determination and universal suffrage, how willing we are to defend Hong Kong and make it a society truly run by Hong Kong people, not by Party puppets. The Communist Party is continually pushing to find out just what Hong Kong people will submit to, just how much oppression they will endure, just what the limits of its tyranny may be. The answer remains to be seen. Will Hong Kong people finally succeed in writing their own history, or will it be imposed upon them, their mouths sealed shut? 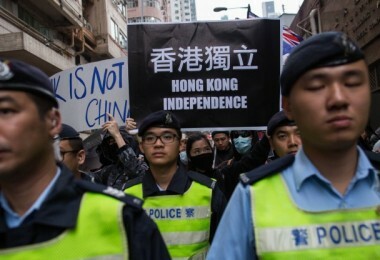 In the clutches of a powerful regime implacably hostile to popular sovereignty of any kind, can Hong Kong people achieve self-determination, taking their fate into their own hands for the first time ever? As long as there is resistance, there is hope.